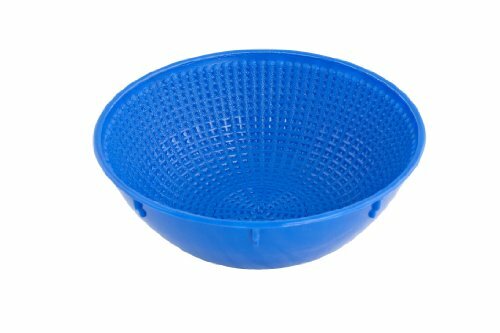 This 10-inch blue round composite plastic basket is designed for use with heavy bread dough. The shallow, flared edges of the bowl help the bread to rise. The imprint created by the rippled pattern is traditional for baked bread and increases the surface for crusting.